“To err is human.” No truer words have ever been spoken. People make mistakes all the time. You have made mistakes. Although some mistakes may be worse than others, that doesn’t mean they should affect your entire future. However, when charged and convicted of a crime, that is exactly what happens. 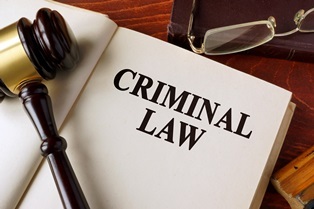 It doesn't matter if it is a misdemeanor or felony—a conviction can cause irreparable harm to your present and future. These effects are even more devastating if you didn’t commit the crime of which you’re accused. If your defense falls short and you’re convicted, you could wind up suffering unfairly. When you’re charged with a crime, you shouldn’t have to worry about how well your defense will work. You shouldn’t be concerned about whether your attorney is fighting to get you the best deal, or if he’s just going through the motions. A reliable attorney will always fight, no matter what. Van will always fight, no matter what. When faced with potential consequences that can ruin your future, why take the chance on a mediocre defense? You deserve more! Call (804) 835-5127 today to make an appointment for a consultation. Remember, your choice of an attorney can make the difference between a cleared name and a conviction that could haunt you for the rest of your life, so make sure your choice is the right one.